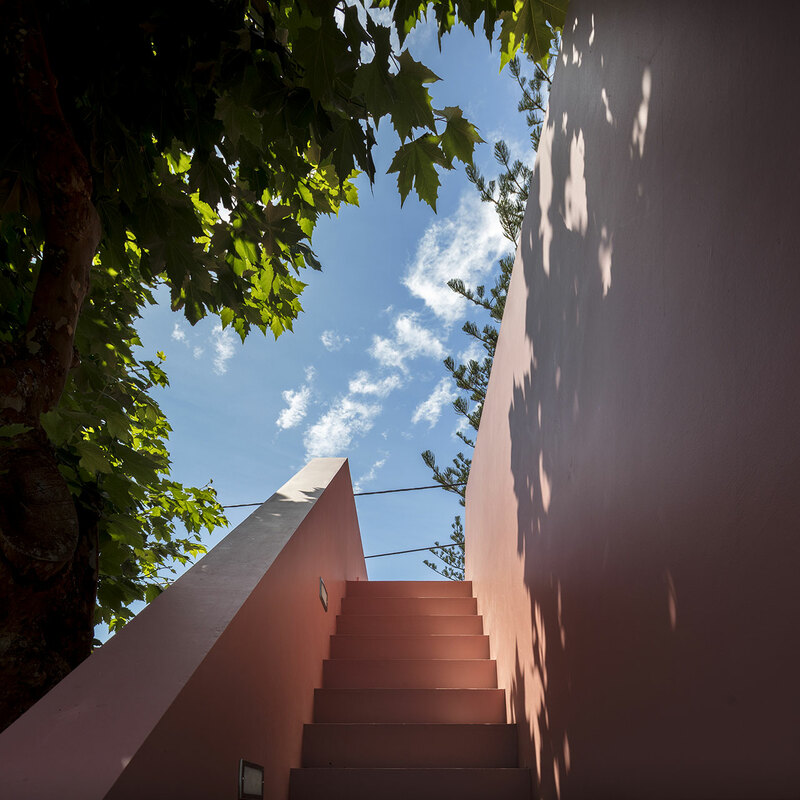 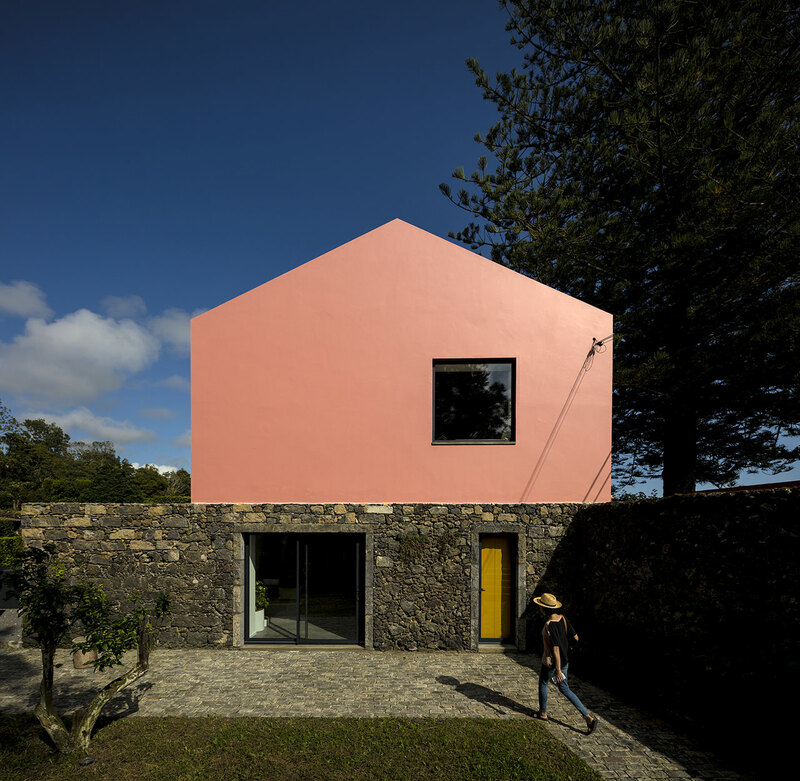 The Pink House on the small island of São Miguel in the Azores, Portugal, is a color burst popping through the green foliage that surrounds it. 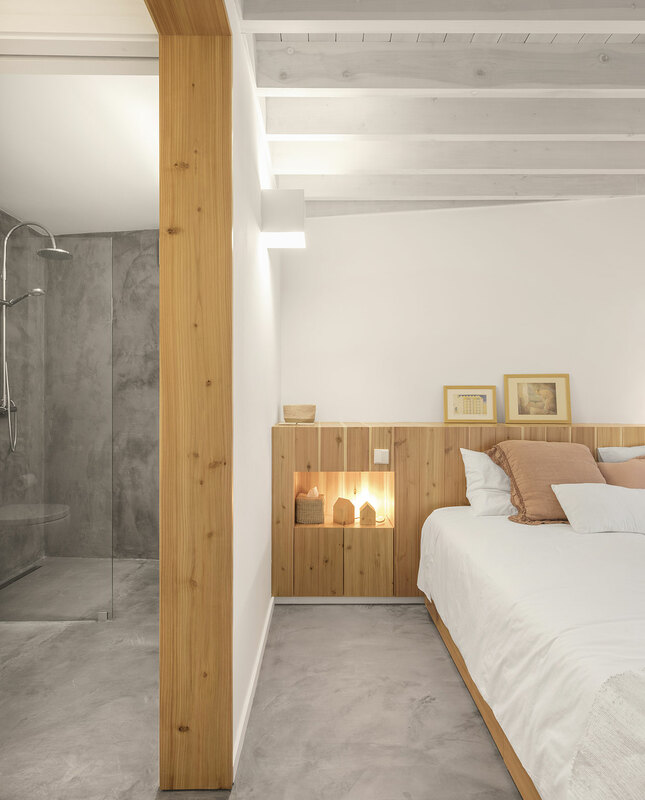 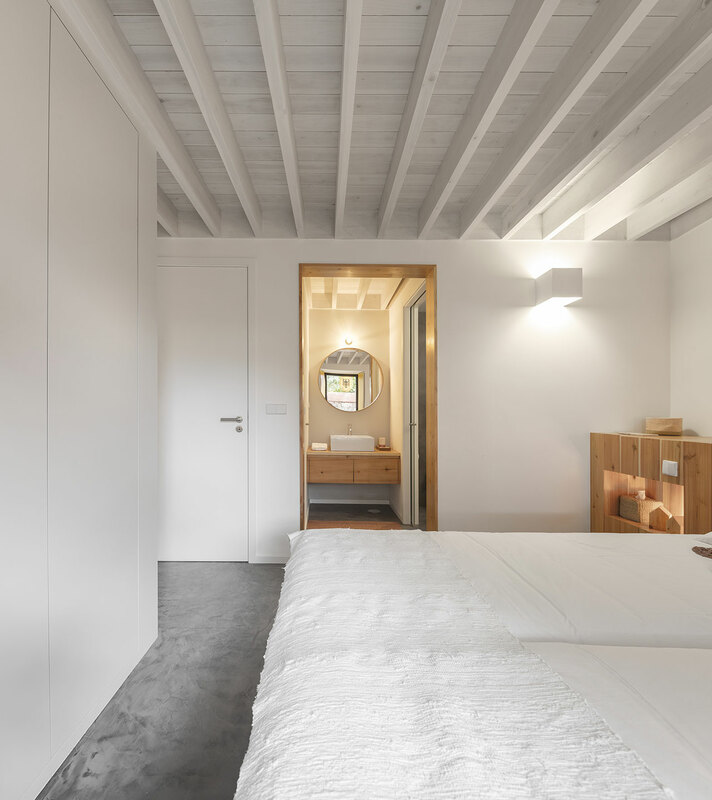 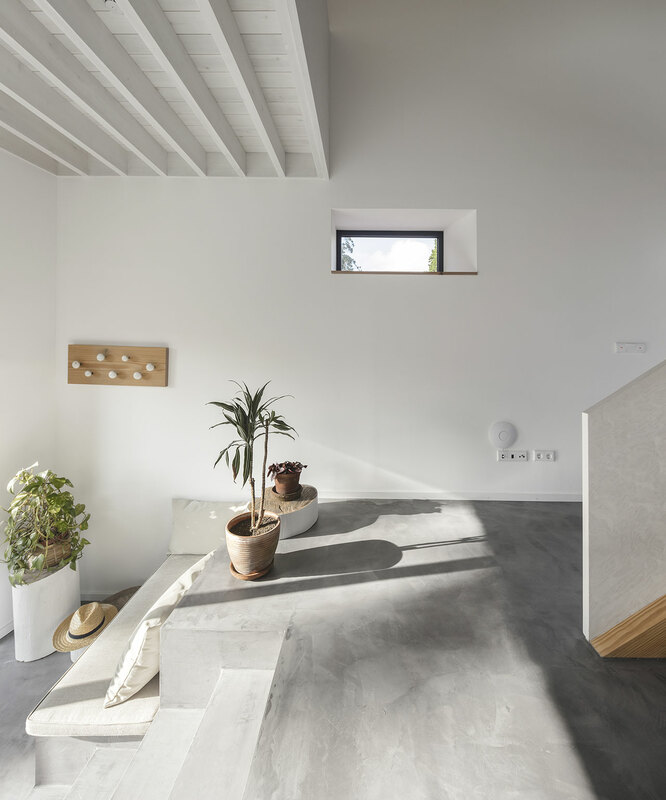 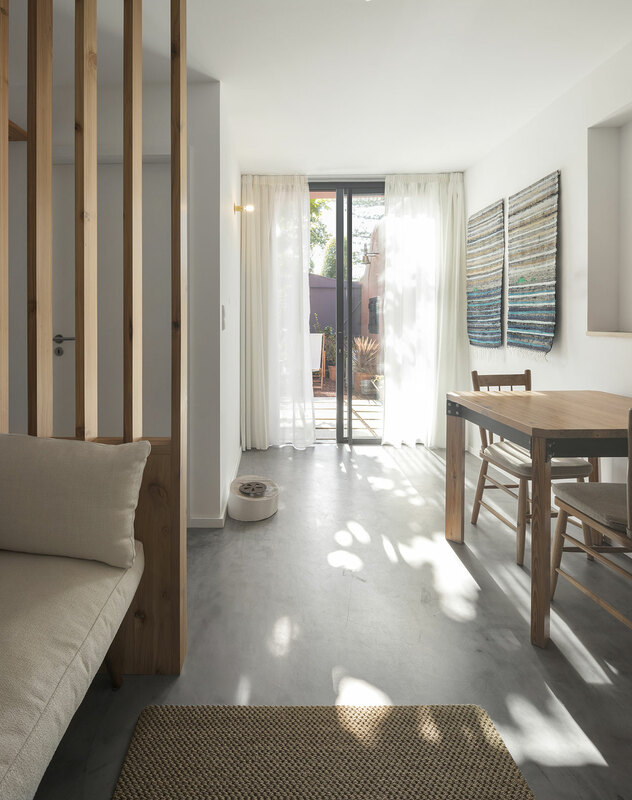 Designed by Mezzo Atelier and completed in 2017, this 250 square meter construction was originally an old stable that was converted into two guesthouses at the turn of the 20th century. 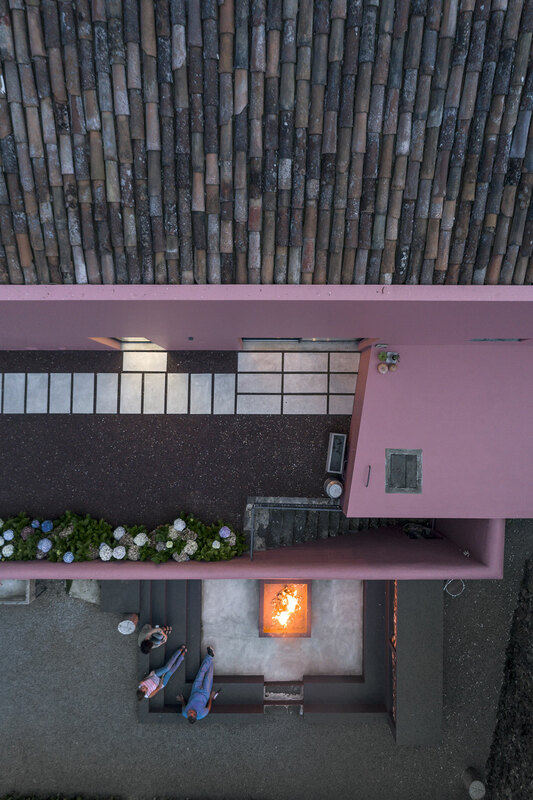 This is a very personal project seeing that it belongs to Joana de Oliveira, who - along with Giacomo Mezzadri - is one of the project's lead architects. 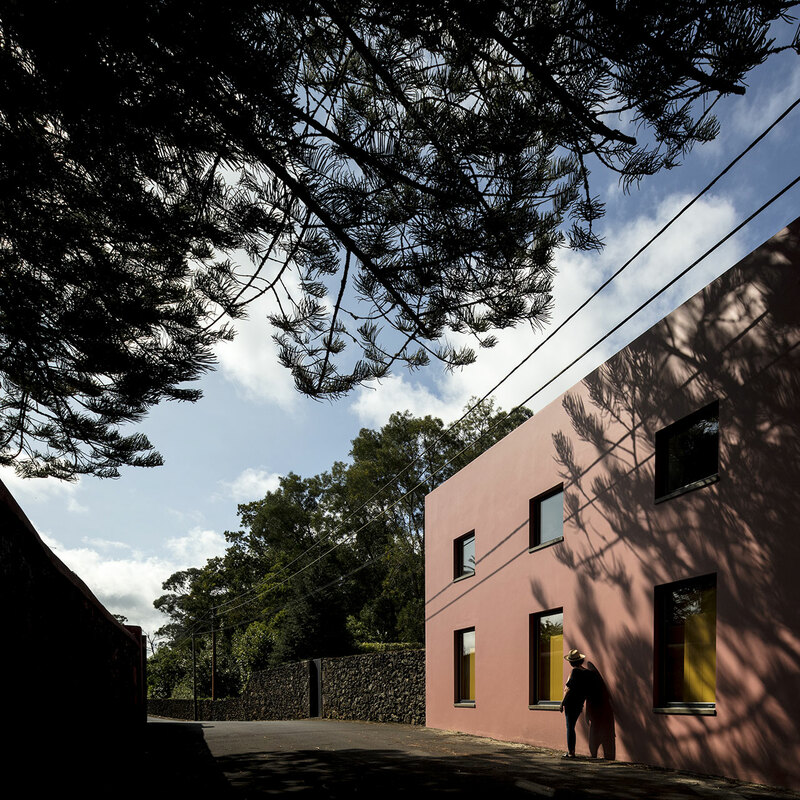 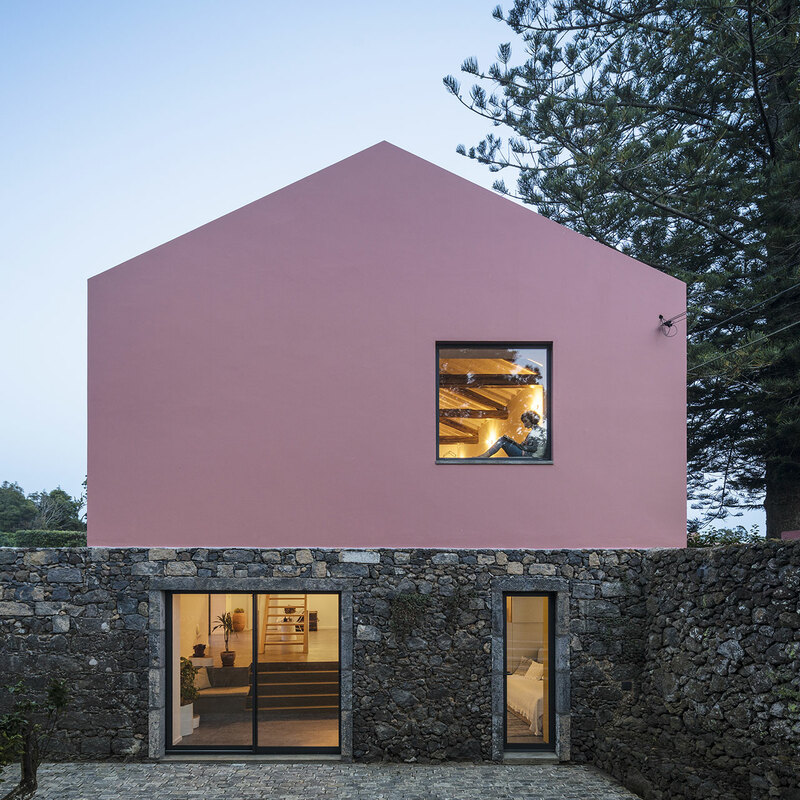 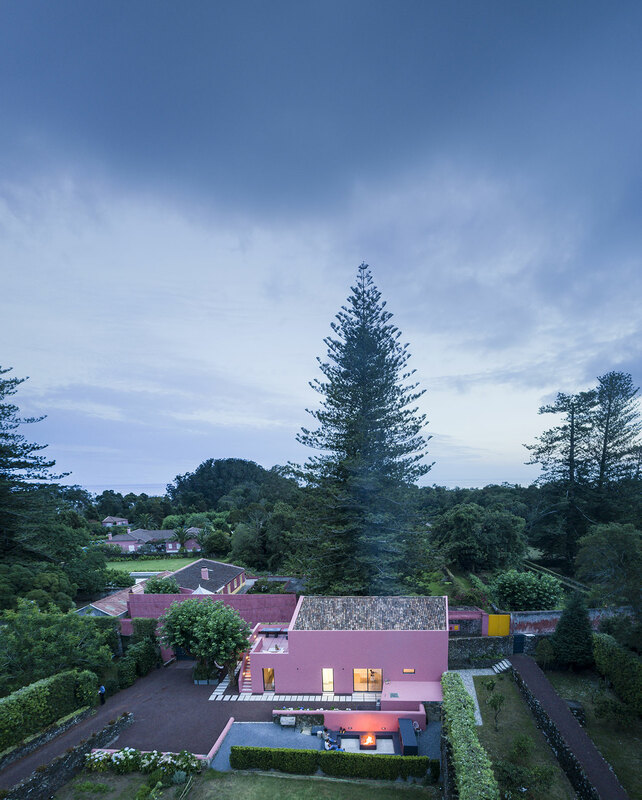 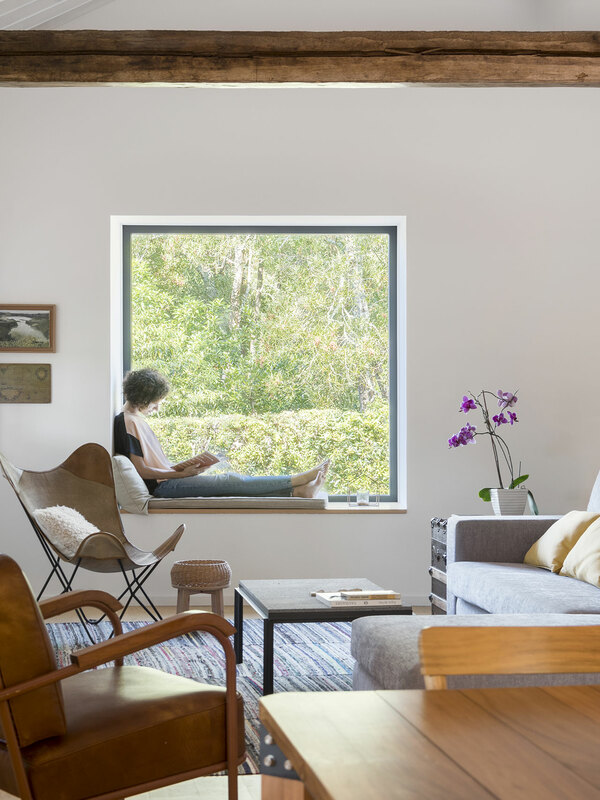 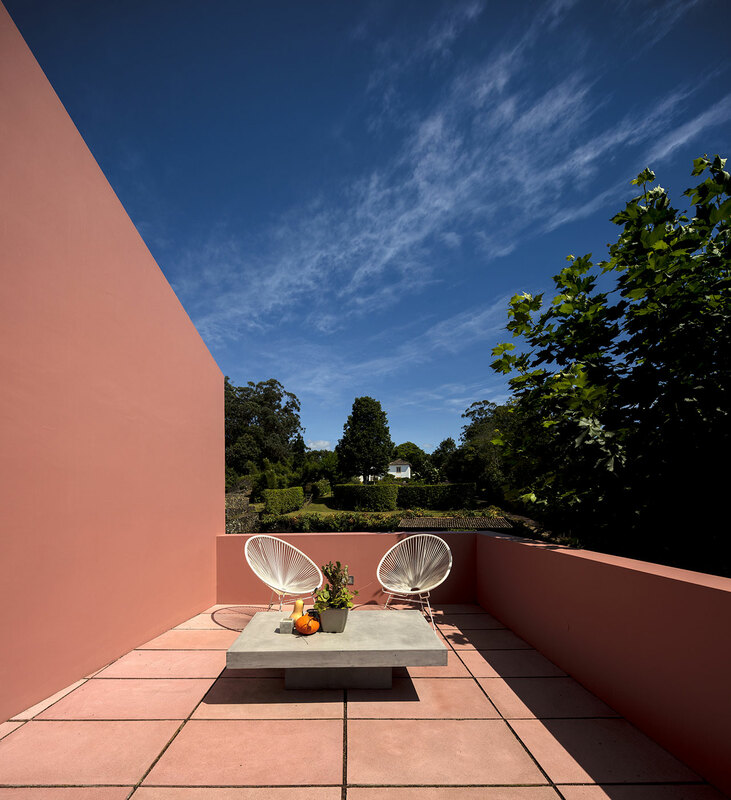 The Pink House's basic construction is true to its rural roots, with a very simple design: windows and door openings cut into the façade all around, a red tiled roof and two storey construction. 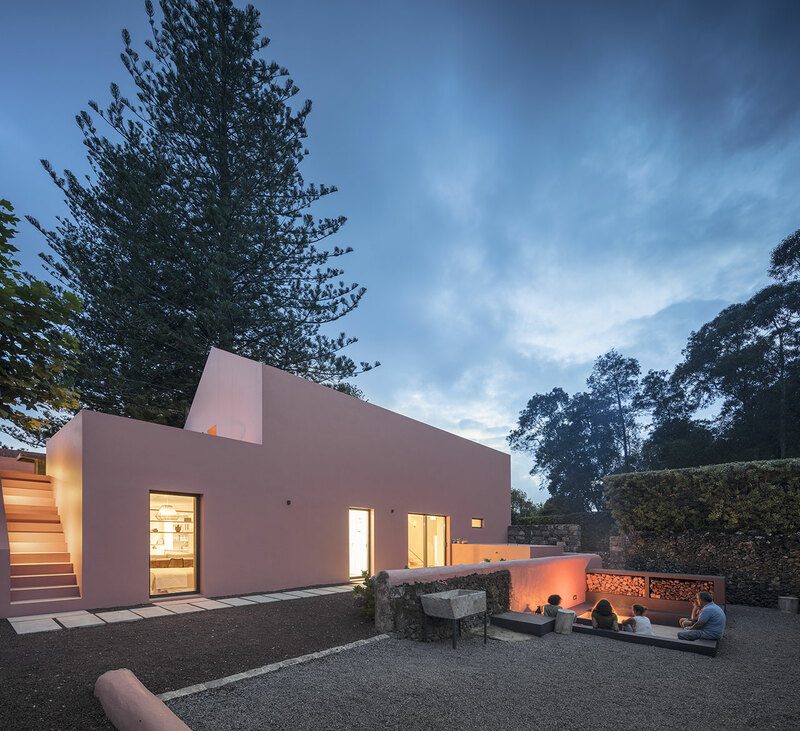 Meanwhile, the stone wall surrounding the outside of the building from the road is carried into the surrounding of the garden, adding an extra "rustic" touch. 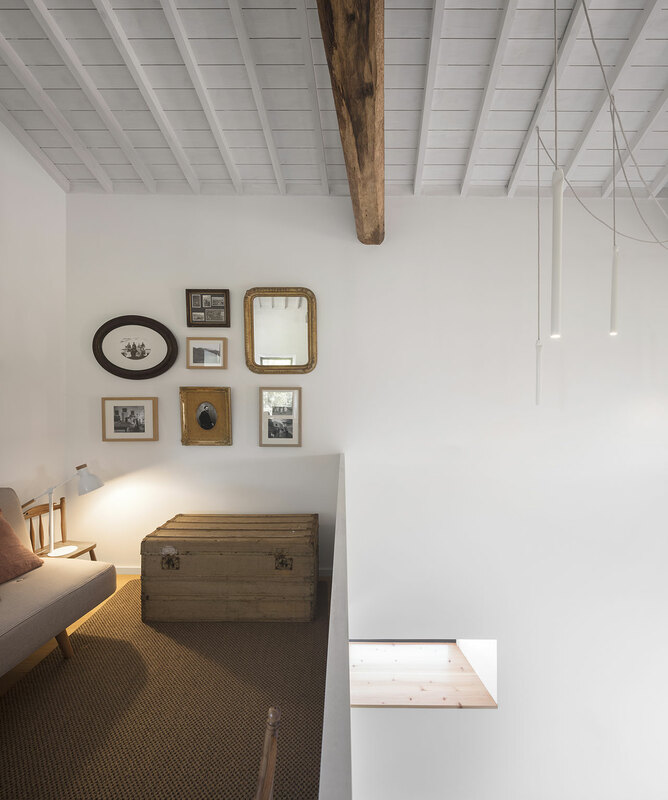 Inside too, complexity is not a part of the guesthouse's vernacular. 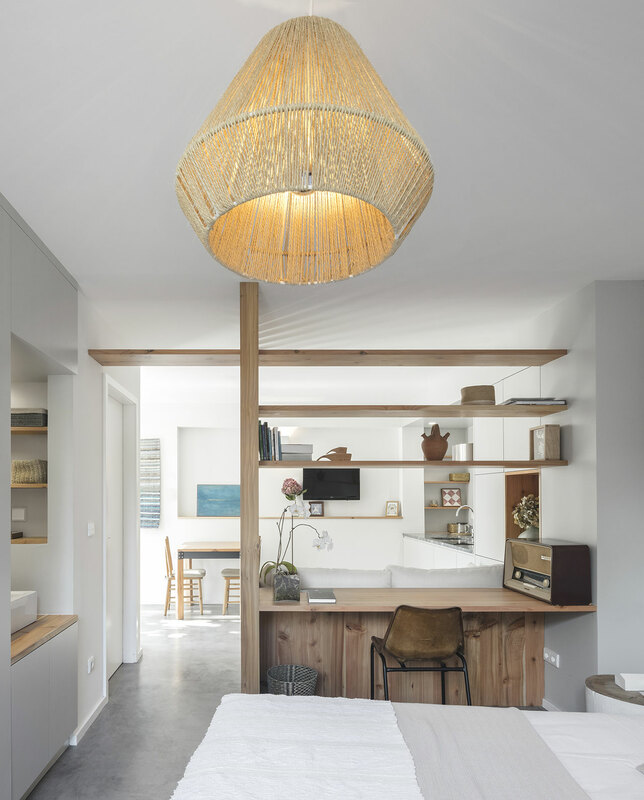 Light colored or whitened wood - including local, Japanese cedar and reclaimed pine and acacia woods - is utilized throughout both the (smaller) lower and (larger) upper storey guesthouse, from the floors to the carefully selected and custom made furniture items. 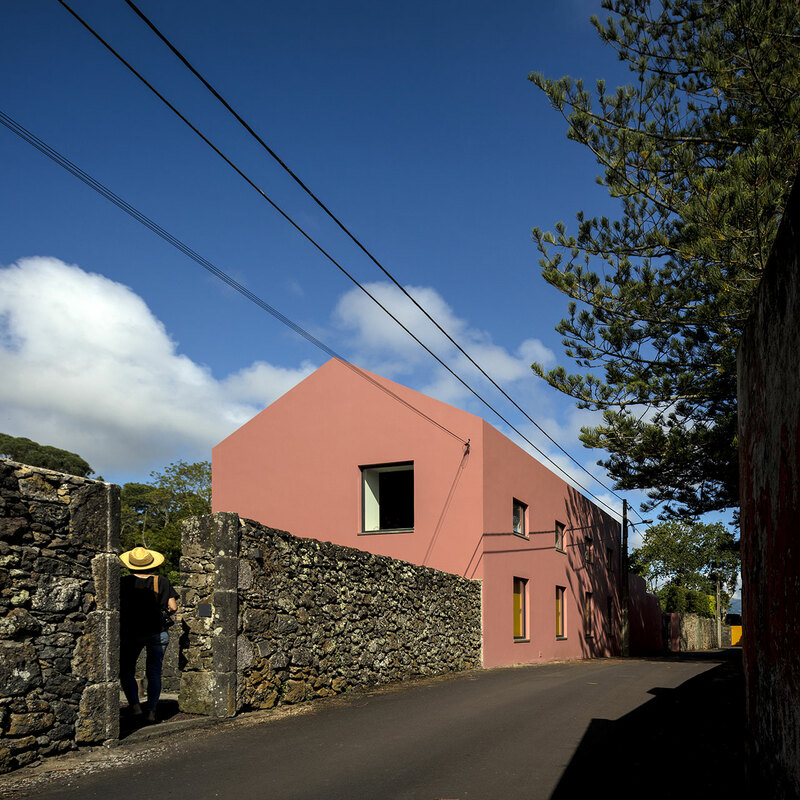 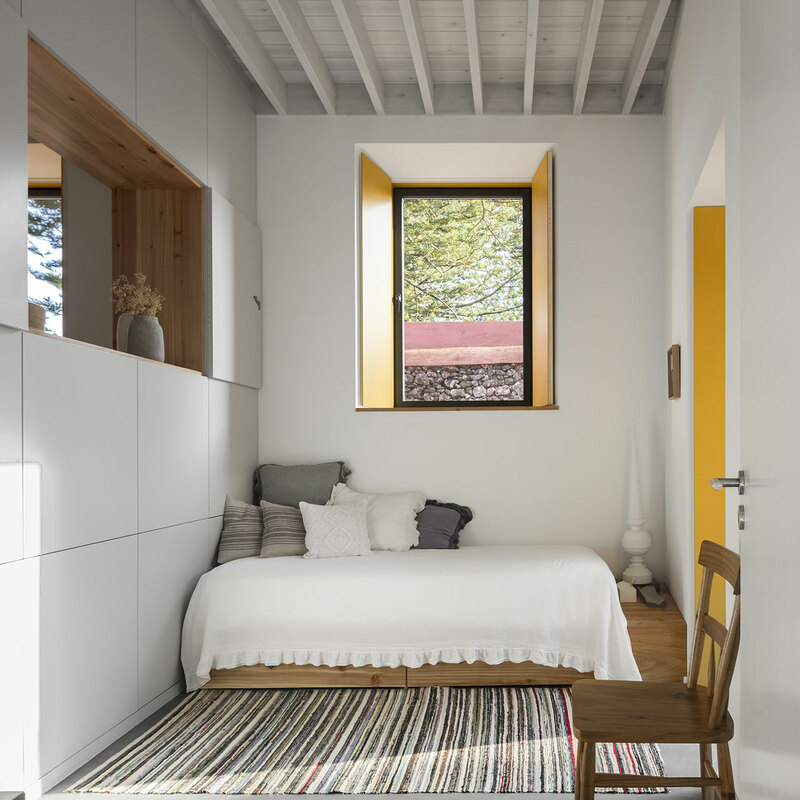 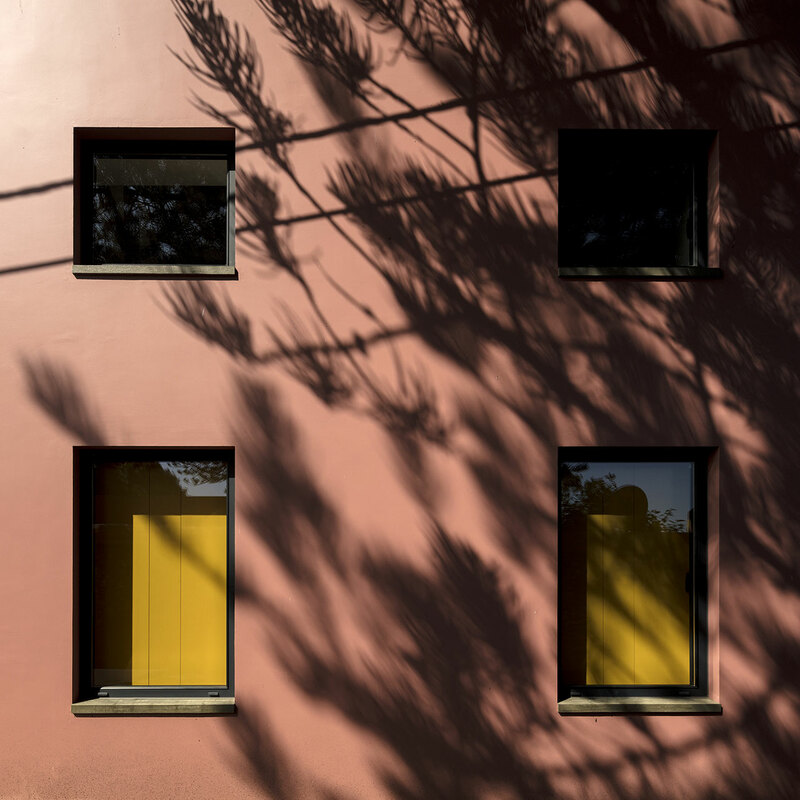 An earthy, aged ochre color - the shade traditionally used for the exterior of Azorean homes - frames the walls surrounding the upper floor's kitchen and some of the windows. 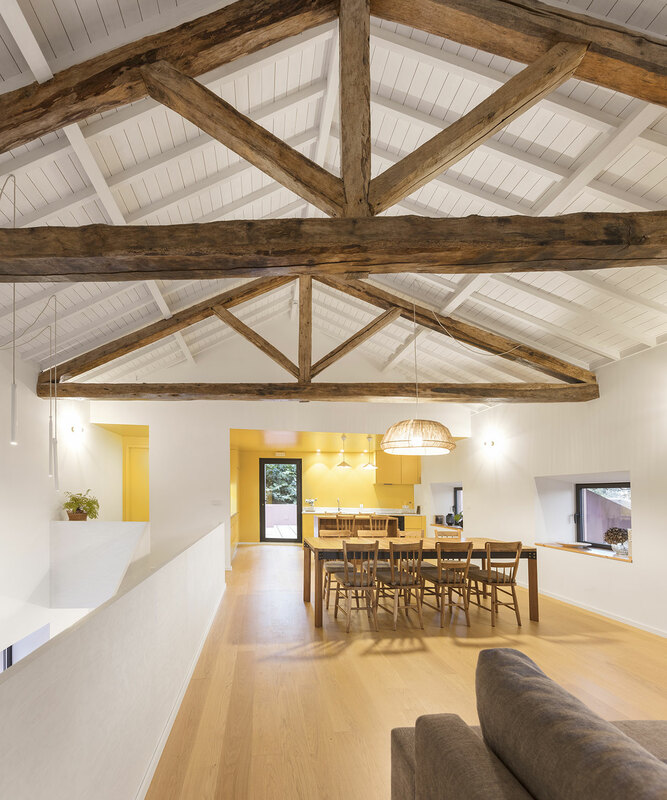 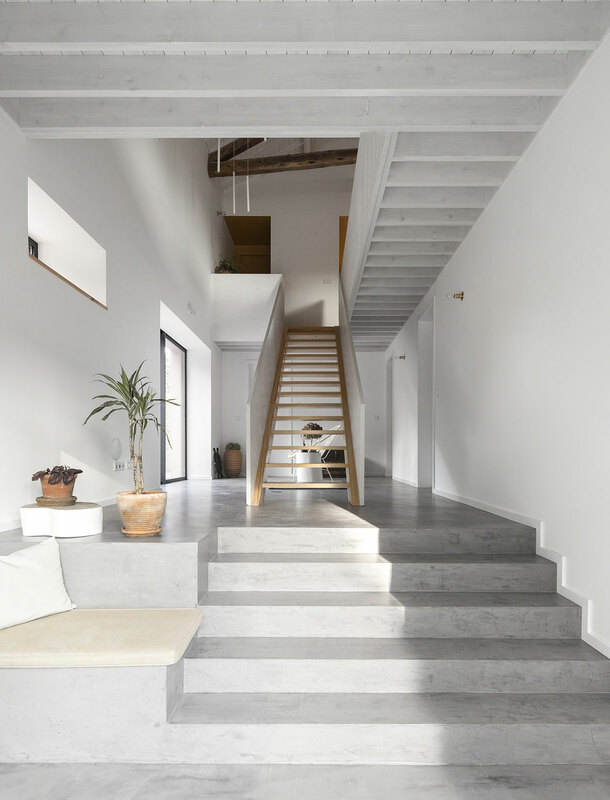 Meanwhile, the upper storey's ceilings are whitewashed, allowing the slanted wood beams of the roof's construction to infuse the space with character and depth. 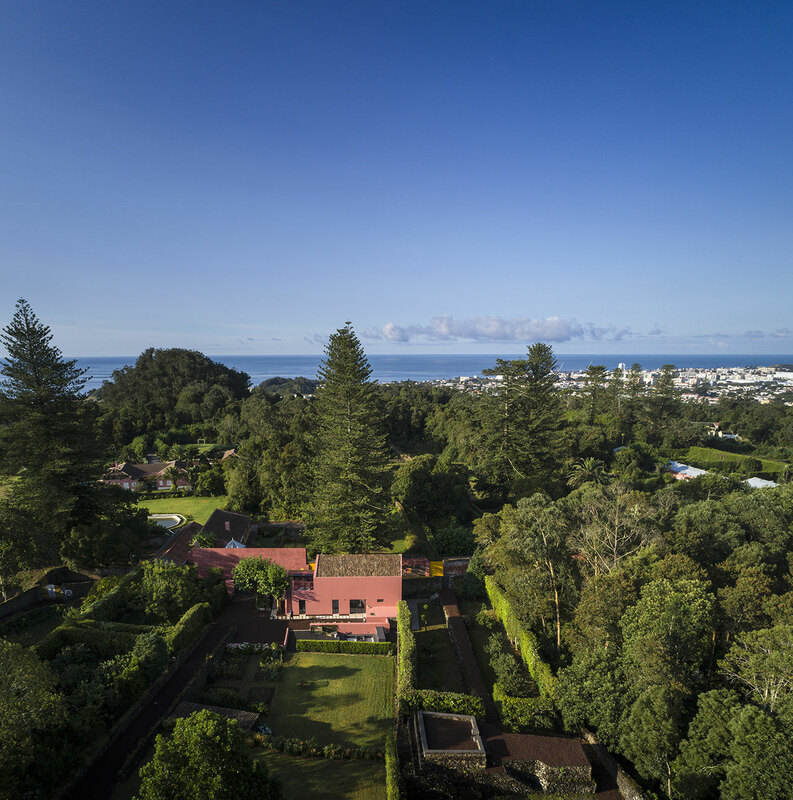 Both upper and lower storeys boast peaceful garden views allowing plentiful Azorean sunshine to shine through. 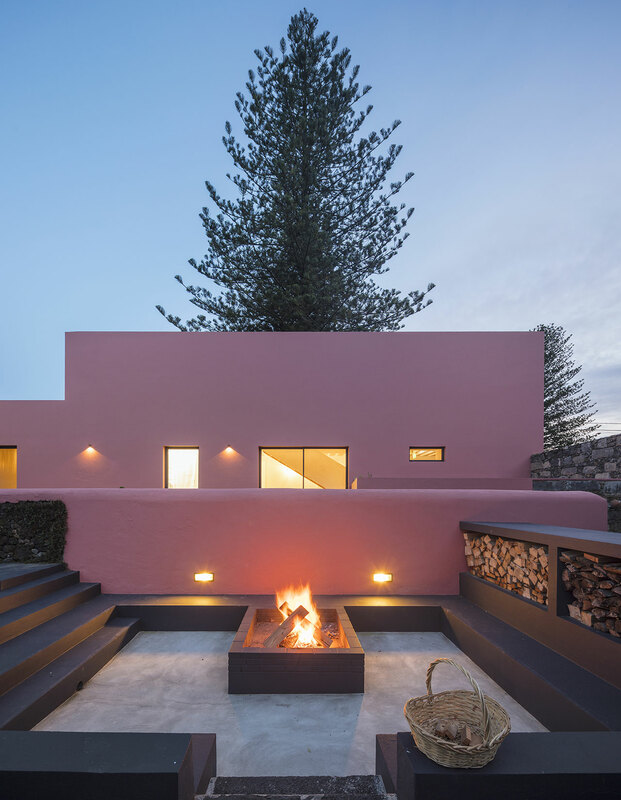 So while it is said that "home is where the heart is", it's not usual for the home itself to appear as if it's beating with life; in the case of the Pink House however, it is.